Utilizing Larry DiMarzio's 1959 Cherry Sunburst Les Paul for reference, DiMarzio used the same materials as 1959, gifted ears, and decades of winding experience to create the PAF 59 pickups. The PAF 59 Neck and Bridge models feature Double Cream butyrate bobbins on long-leg nickel/silver base plate just like the originals. 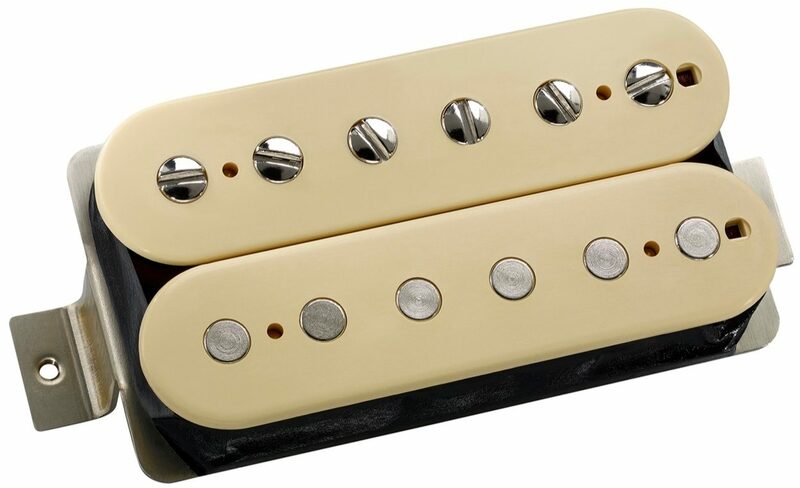 All materials are made in the U.S.A. to the tolerances of the best of the 1959 pickups. The PAF 59 Neck and Bridge models have the open dynamics, bright attack, smooth midrange, and rich bottom end, along with the creamy distortion of the original "Patent Applied For" pickups. Like the vintage "Patent Applied For" pickups, the PAF 59 Bridge model has perfect harmonic range with exactly the right amount of oomph. It has a subtle roll off on the top end that sweetens the highs in the bridge position.